Life – there’s an app for that. 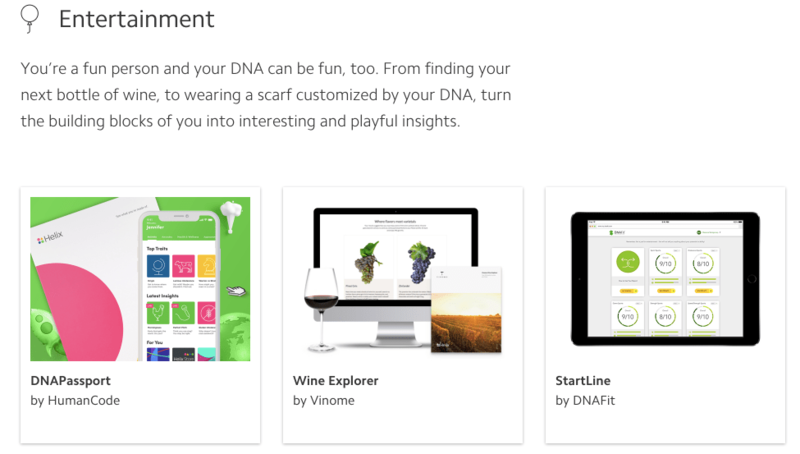 Helix is the 23andMe for the App Generation. No longer about simply discovering your ancestry, this new wave of digital genomics is all about optimizing your body and mind and preparing for your future – straight from your phone, of course. Simply getting a copy of your genome is so 2008. Fast-forward a decade and now you can buy individual apps that will read a sequence and tell you everything you’ve always wanted to know, like whether or not you’re a night owl (because, presumably, you need genetic confirmation of that). Helix is one of the hubs through which you’ll buy these individual apps (no doubt there are more to come). The company was founded in 2015 with $100 million in start-up money from the genomics company Illumina, and started garnering serious media attention when its platform launched back in July. What to get the wine-lovers in your life for the holidays? How about a personalized matchmaking app that tells them precisely what their genome says they should like. According to Helix, “It’s like a sommelier for your DNA”! Gone are the days of having to trust your own palate! Are you taking a new partner home for the holidays and hoping your family will approve? Melt your parents’ heart by showing them what their grandchildren could look like with BABYGlimpse. Of course, that’s more expensive because you’ll need two kits. 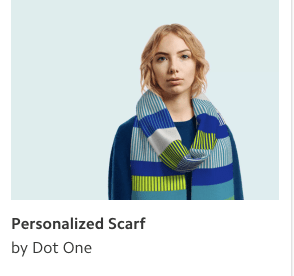 Tired of buying your mate regular ugly socks and scarves for Christmas? Now you can buy ones that advertise their unique genome to the world! It’s easy to roll your eyes until you get to the page with the health and fitness gifts. It’s ok to be tempted; the global fitness industry rakes in around $80 billion a year, with the U.S. accounting for $28 billion of that. Losing weight and meeting fitness goals is hard work and we know that it’s not a one-size-fits-all business – the Atkins diet may work for your friend, but not for you, or you might do cardio 4x a week and still struggle to lose pounds when your friend need only cut back on alcohol to see a significant weight loss. An app that tells you precisely what diet will be most effective for you or whether you’ll be better off with cardio or weight training to lose those extra pounds would make life a lot easier. It would be a lot easier to keep New Year’s resolutions if you knew they were going to work (or that they should maybe work based on the best information that we have available, which most of the time isn’t a lot). How do we know certain characteristics can be measured accurately? How would potential customers educate themselves about the status of the research used to do genetic analyses? What of the traits that are determined by multiple genes, or are affected by your environment more than anything? What of the business model? 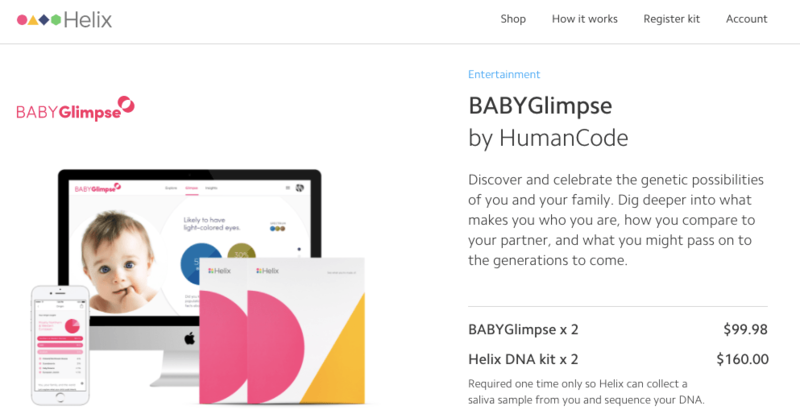 $80 is a real deal for sequencing, but unlike 23andMe, Helix doesn’t let you download the raw data, so you’re at the mercy of the apps in Helix’s app store. The answers will be different for everyone and the conversation can stay relatively non-hostile as long as services like these remain both optional and private.